Mitsubishi Aircraft, the Japanese industrial giant’s aerospace affiliate, said Wednesday it signed a deal to sell 10 of its new MRJ jets to a Miami-based aircraft leasing company. The definitive agreement includes an option for Aerolease Aviation LLC to acquire 10 more aircraft, the companies said. The deal is worth $458 million, at posted sale prices, though a discount was likely. Deliveries will begin in 2018, the companies said. The tight schedule highlights the importance of certification testing that Mitsubishi will perform starting next month at its new flight test center in Moses Lake, where it hopes to earn certification for its new jet from U.S. civil aviation authorities. 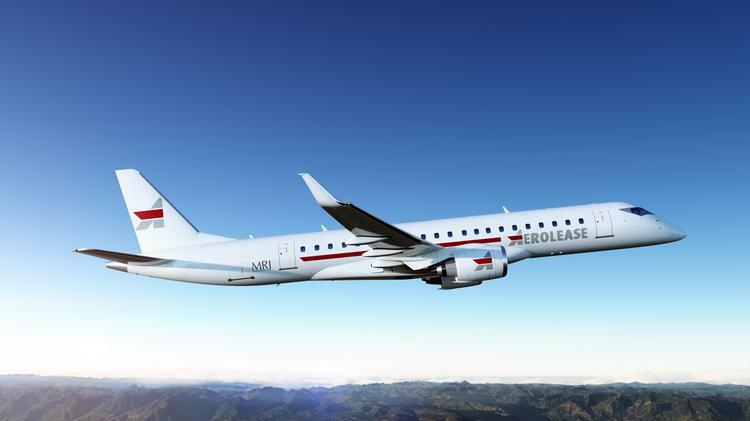 Jep Thornton, a partner at Aerolease Aviation, said the Florida company is pleased to become the world’s first aircraft leasing company to buy the MRJ, whose variants offer between 70 and 90 seats to regional airlines. The Mitsubishi jet, Japan’s first ever commercial jetliner, aims to steal market share from regional jet giants Embraer (NYSE: ERJ) of Brazil and Bombardier(BBD-B: TO) of Montreal. Thornton cited Mitsubishi group’s “strong financial background” and the MRJ’s “unmatched fuel efficiency, passenger comfort and environmental performance” as reasons for the purchase. He said Aerolease is committed to cooperating with Mitsubishi Aircraft as an MRJ partner to expand its global customer base and boost the MRJ’s asset value in the leasing market. Today’s deal gives Mitsubishi Aircraft, which is on a hiring spree for aerospace engineers in Seattle, orders for 403 MRJ aircraft, including 233 which are firm and another 170 options. Mitsubishi Aircraft was forced to cancel two ferry flights to North America on the weekend following problems with its air conditioning systems, calling into question its plans to hold an official opening of its Moses Lake testing center on Sept. 9, a ceremony to be attended by Washington Governor Jay Inslee. A Mitsubishi spokesman did not respond to The Puget Sound Business Journal when asked if next month’s ceremony is still going ahead or not.